1. The color of the grass is uneven. The reason for this result is that the color difference will occur when the grass silk of different colors is processed into a grass and laid on a single field. How to do to ensure that there is no color difference, first of all to ensure that each batch of grass silk thin and consistent, Yan Ze even, is a relatively high technical content of work. The raw materials of straw silk produced by wire drawing equipment which can not meet the requirement of application technology often appear chromatic difference problem. 2. The stability and color fastness of discoloration under ultraviolet radiation are the important indexes to evaluate artificial grass. 2. The obvious fading appears after a long time of sunlight irradiation, and the stability and color fastness of discoloration uneven under ultraviolet radiation are important indexes to evaluate the artificial grass. 3. The artificial grass appears to defilament or break a lot of time is the underlining strength and wear resistance is not enough, generally choose the grass that the regular manufacturer produces, because our bottom back is to use the large-scale equipment that the body forms together to produce. After a period of corrosion, aging and small displacement wear, the durability of the bottom lining is a key problem in the quality of artificial grass. 4. The problem of defilament in the field may also be caused by uneven bottom scraping, immature scraping process or low wear resistance of straw silk. Especially for young people who exercise, the phenomenon of de-filament will often affect health. 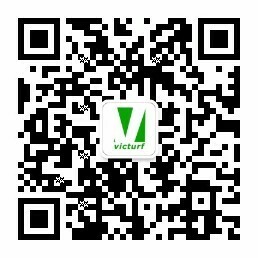 These conditions can be avoided by selecting the grass produced by JIANGSU VICTURF CO.,LTD in Jiangsu province. 5.The grass silk is not bright enough, the friction electrostatic property is very strong, has the hysteresis feeling. Anti-static performance and brightness are also the key link of artificial grass product competition, it is related to the scratch coefficient of the product and the final movement effect. The evaluation of artificial grass is the same as other products, mainly depends on the selection of raw materials such as grass silk, bottom lining and scraping, etc., whether the post-treatment process is mature and stable. The dimensions of the marking line are not accurate enough, and the white grass splicing is not straight. (2) the strength of the seam belt is not enough or the professional turf glue is not used, which leads to the phenomenon of turfgrass turning up. 4. There was no regular arrangement in the lodging direction of the grass silk, and the light reflected chromatic aberration appeared. (5) the surface of the ground is uneven because of the uneven sand injection and colloidal particles or the failure of the grass fold to be treated in advance. 6 the quality problem of filling material is the odour or discoloration of the site. The above construction process is easy to appear problems, as long as a little attention, strict and serious implementation of artificial grass construction procedures, it can be avoided. Choose the formal artificial grass manufacturers, such as Jiangsu JIANGSU VICTURF CO.,LTD is the first China PICC underwritten grass manufacturers, construction should also choose the formal qualifications of the construction side. In order to ensure that the perfect artificial grass. Last ：PERFECT ENDING OF 121 PHASE OF CANTON FA..
Next ：2018 JIANGSU VICTURF CO.,LTD Table Tenni..